The Nile River is the lifeblood of Egypt. 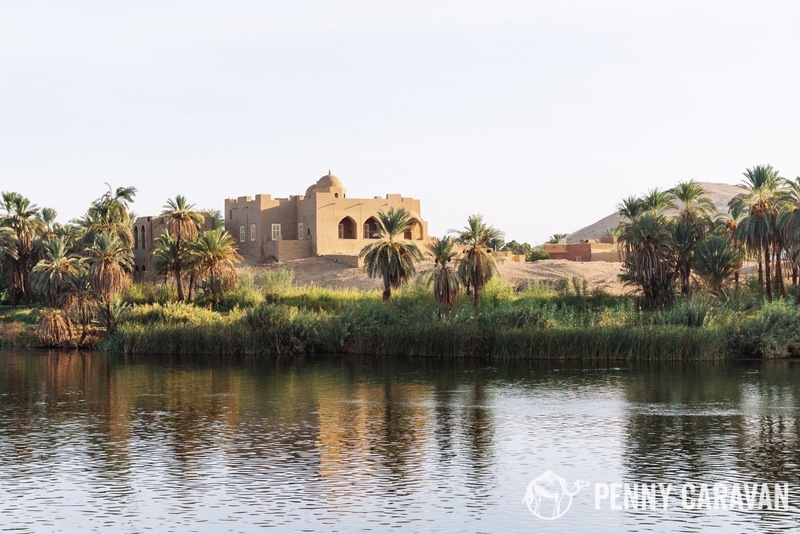 95% of Egypt’s population lives along the Nile, so a Nile River Cruse is the perfect way to experience all that Egypt has to offer. It’s so much fun being able to step off your boat and experience an ancient temple thousands of years old, then jump back on board and sail to the next one. 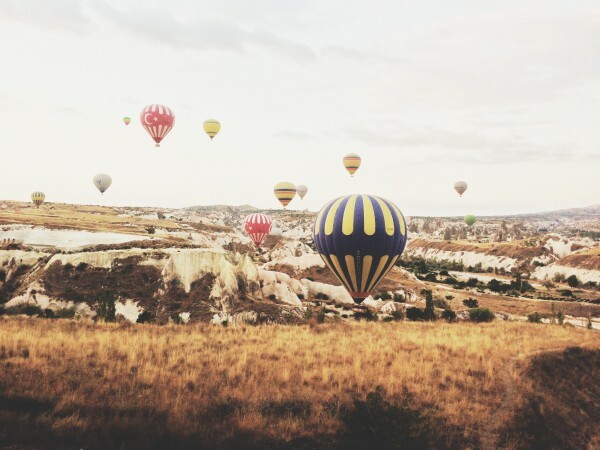 In this post I’ll cover selecting a tour operator, the experience onboard, and a brief overview of the cruise itinerary. The legendary Nile River, from our balcony. Our Egypt trip started when Iylana’s mother sent me a packaged deal for a Nile Cruise. 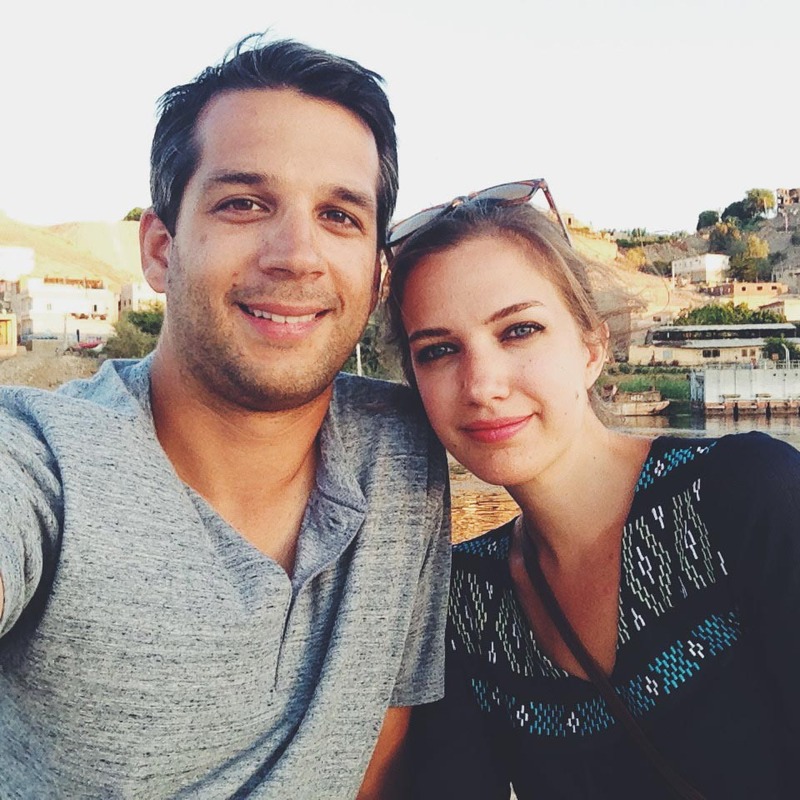 When we decided we could probably organize the trip ourselves, the first step was finding a cruise provider. After some research, Memphis Tours jumped to the top of the list, for both their positive reviews and their affordable itineraries. Memphis doesn’t actually operate the cruise, but rather books space for you aboard a ship, then organizes the excursions at each stop. I initially inquired about a sleek, modern ship on their website, but they responded that it wasn’t currently sailing. We later learned that because of the recent revolution in Egypt, tourism had fallen precipitously, causing many of the ships to stop sailing. We were told that of 400 ships that cruised the Nile, only 15 were operating at the time, and ours was only about 30% capacity. Quite the drop indeed. Instead, Memphis offered us a spot on a different, more expensive ship for the same price as the one I initially inquired about. The Sonesta St. George ended up being a great choice, as it definitely had more of a classic river cruise ship style, a la Death on the Nile. 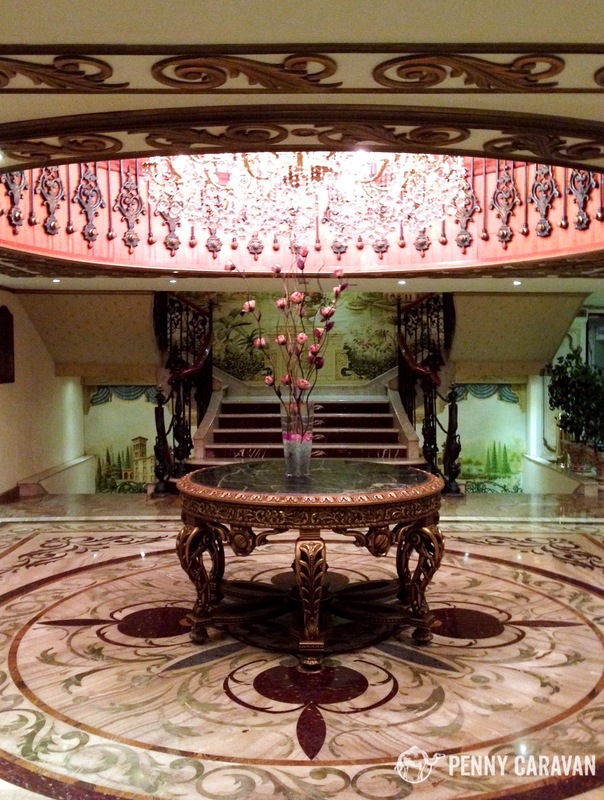 When we arrived in Luxor, Memphis Tours picked us up from the airport and transferred us to the Sonesta St. George. After checking in and paying the balance on our cruise, we were introduced to Sayed, our guide for the duration of the trip. From there on out, we were mostly in Sayed’s hands, and we have nothing but wonderful things to say about him as a guide. Sayed actually stayed on the ship with us, so he was our constant companion throughout, doing an excellent job explaining the history of each attraction, and entertaining us with his humorous personality in between. At each stop a driver from Memphis Tours was there with a van to shuttle our group to and from the boat. Memphis Tours made our experience in Egypt pleasant and painless. From booking, to arranging transport, to all the extras, they were professional in every way. If you’re looking at booking a trip in Egypt, Memphis Tours can arrange all aspects of a trip to Egypt, not just Nile cruises. 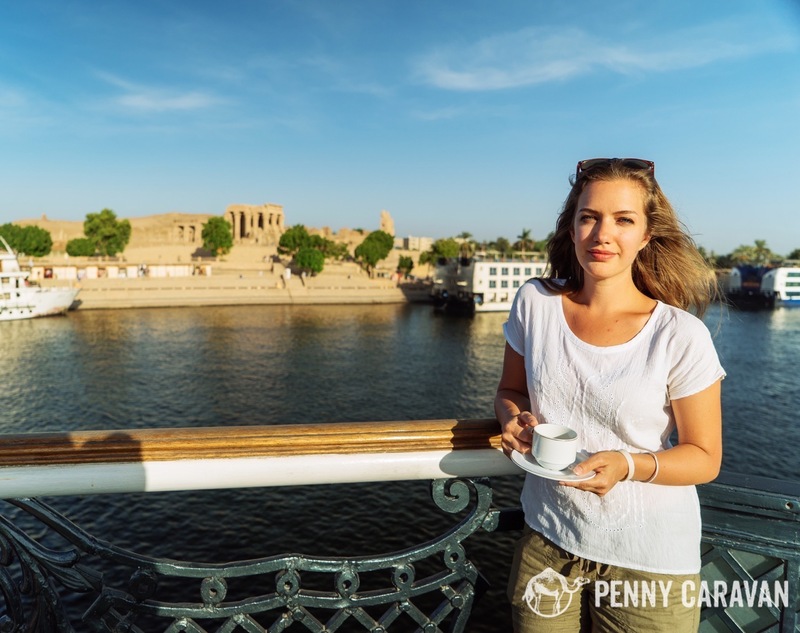 Iylana enjoying tea on the deck at Kom Ombo. The St. George is operated by Sonesta, the international hotel company. 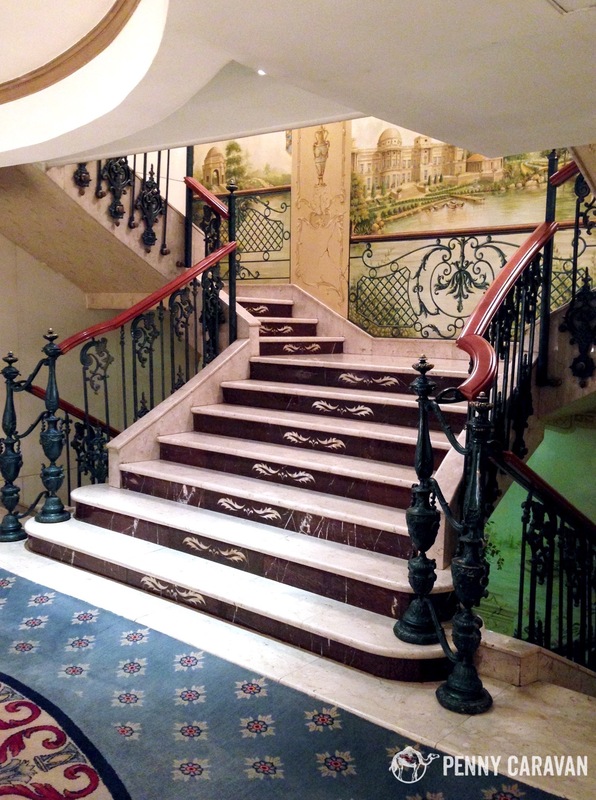 As one would expect from a Sonesta property, the ship was very nicely decorated and every room had a balcony, which is a nice perk of river cruising as opposed to ocean cruising. 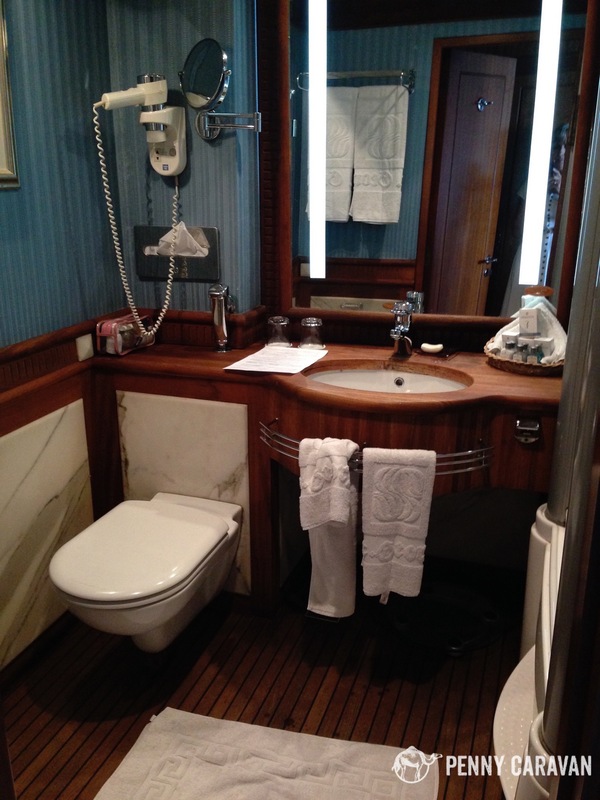 The room was spacious and nicely decorated, with a surprisingly large bathroom. 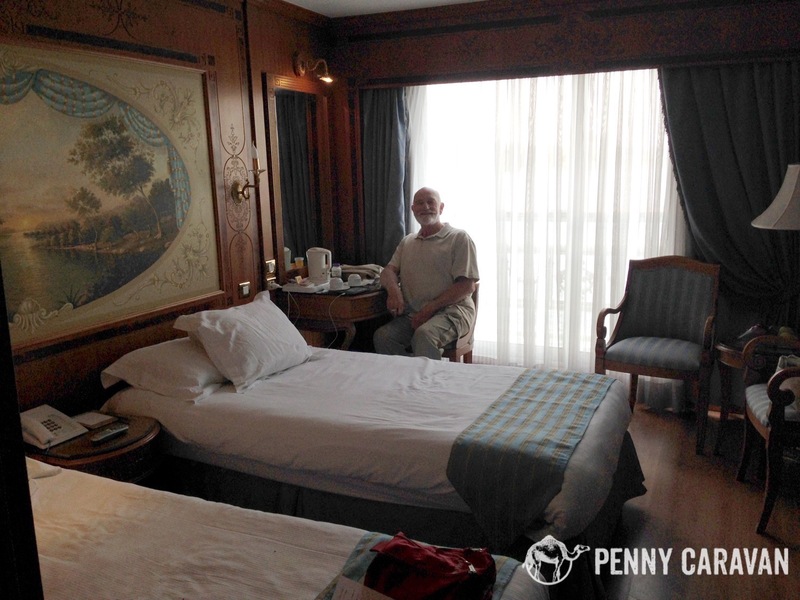 All in all it was much nicer than any room we’ve ever had on an ocean liner. 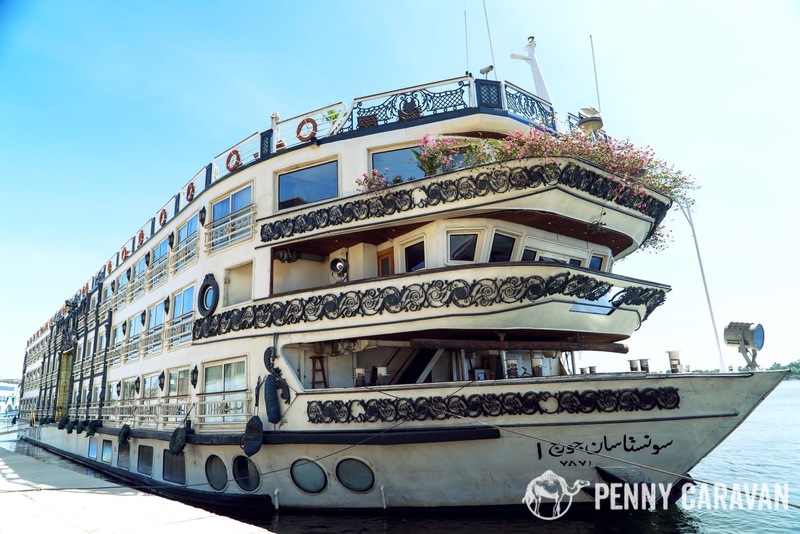 Our boat was the prettiest one on the Nile! The cabins on board the Sonesta St. George. The bathroom had a spa shower with jets. The top deck had a pool, which was nice for cooling off after being in the hot Egyptian sun all day. There was also an area with covered tables for taking afternoon tea. 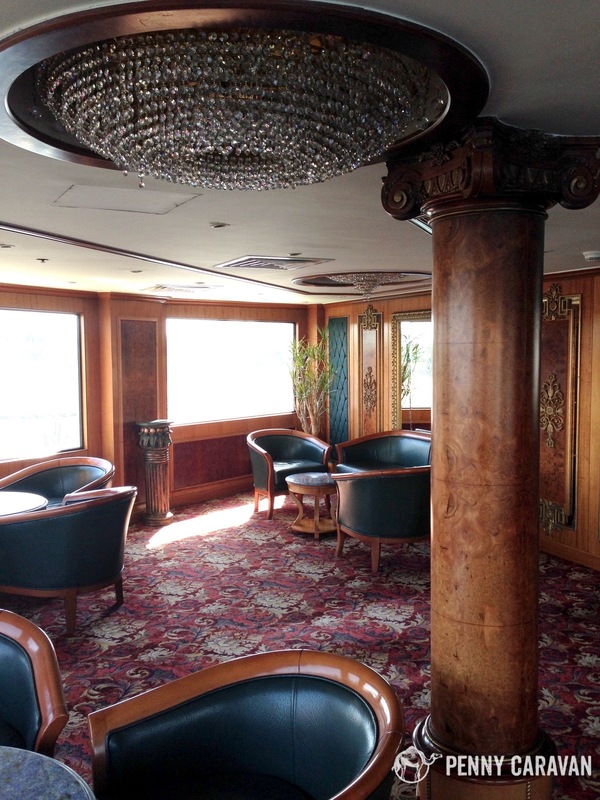 Other amenities on the ship included an observation deck, fitness room, gift shop, and dance floor. All meals were included with the cruise, and there were always multiple items to choose from. Breakfast and lunch were buffet style and dinners featured a set menu, typically offering a beef, chicken, or fish option. However the best meal, in our opinion, was on “Egyptian Night,” which was the final night of the cruise. A large buffet with traditional Egyptian food was set up on the top deck, and we all donned our galibayas that we had purchased along the way. We wish we could have eaten like this every night! After dinner on the final night, we all went down to the dance room for a little party. It was a lot of fun, mostly due to the sometimes awkward games our hosts had us play. We chuckled when the DJ called out for the ladies to “Shake your body!” but his accent made it sound more like “Shake your booty!” It should be noted that this is the only night an organized party happened; the other nights on the ship were pretty quiet, possibly due to the low passenger count. As mentioned before, the ship was only at about 30% capacity. This made it easy to find a quiet spot away from other people. I imagine if the ship had been full capacity it would have felt a little cramped, especially on the pool deck. 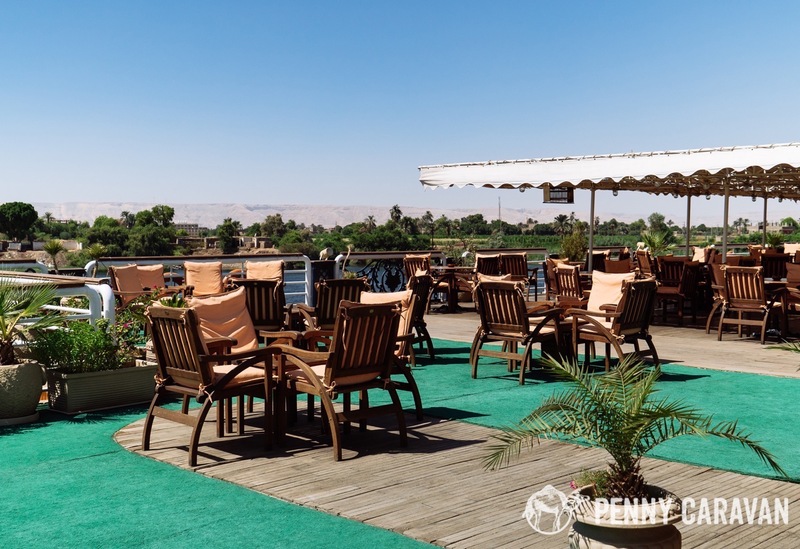 All in all, the Sonesta St. George offered a quaint and comfortable way to cruise down the Nile. Looking out from your balcony over the legendary river is an experience you’re sure to never forget. 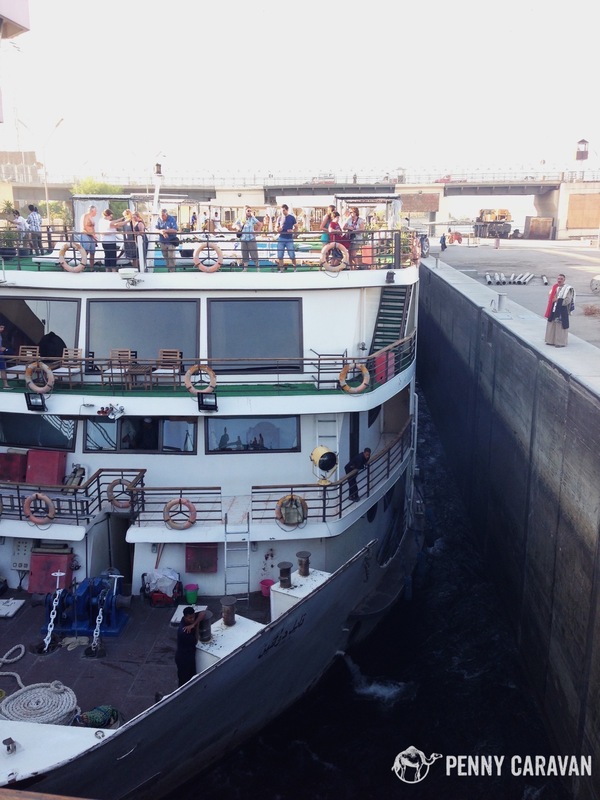 The boat behind us in Esna Lock. 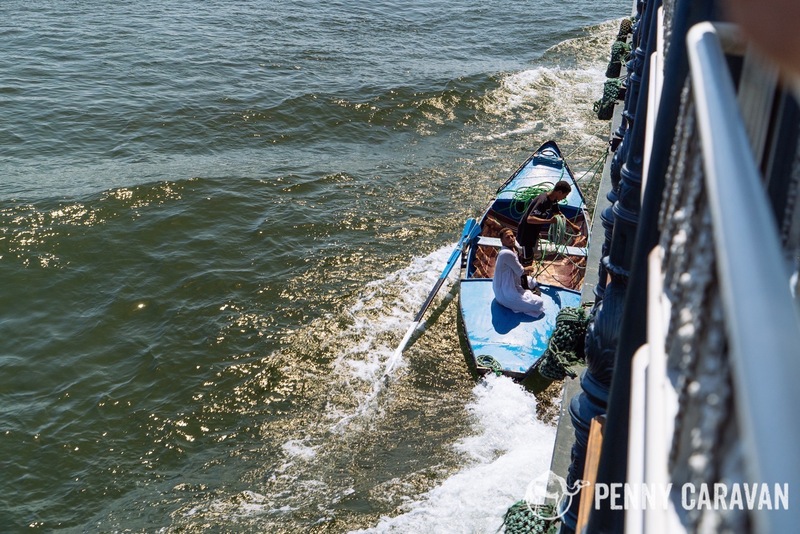 River merchants may pull up alongside your boat as you’re cruising to sell their wares to whoever is out on the balconies! 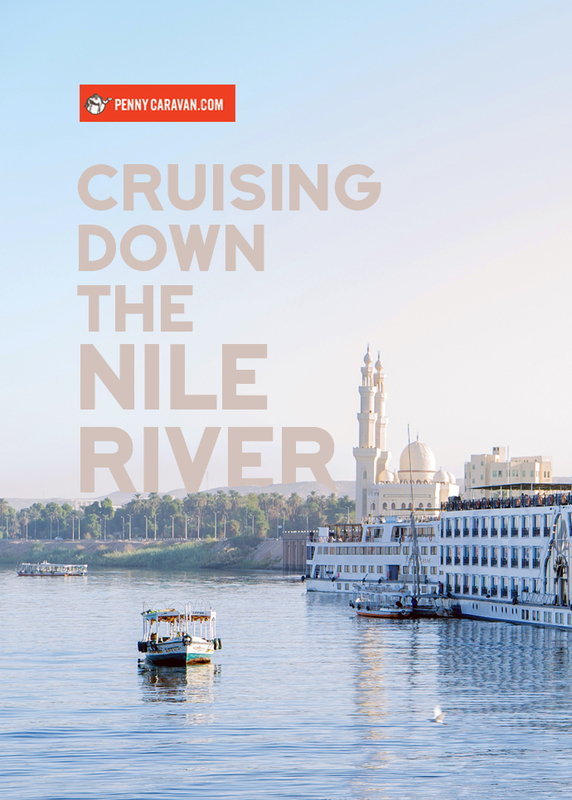 Here’s a look at the itinerary we sailed with, which is a typical itinerary for most Nile cruises traveling from Luxor to Aswan. 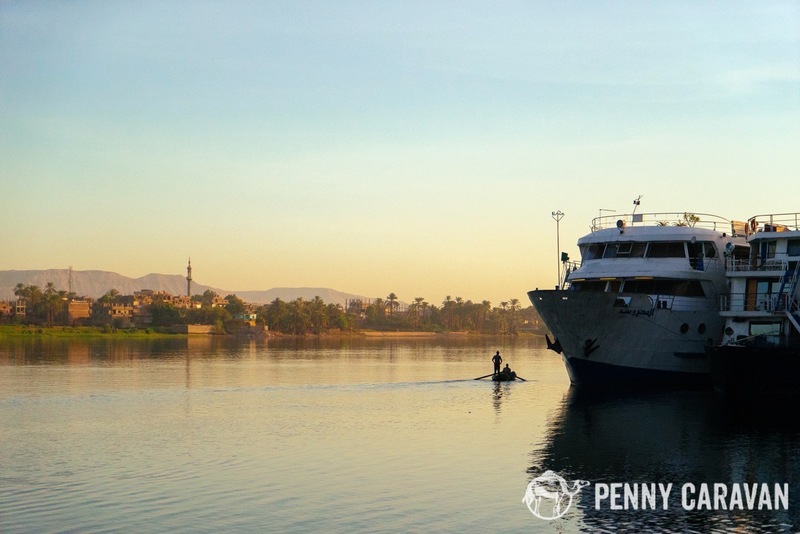 Going the other way, from Aswan to Luxor is typically done in 4 days/3 nights. 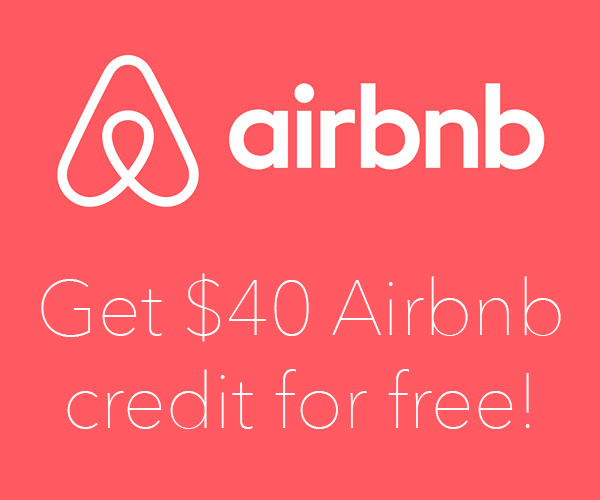 It’s also possible to add an extra trip to Abu Simbel from Aswan, but that wasn’t going to work with our schedule, so it’ll just have to wait until our return! 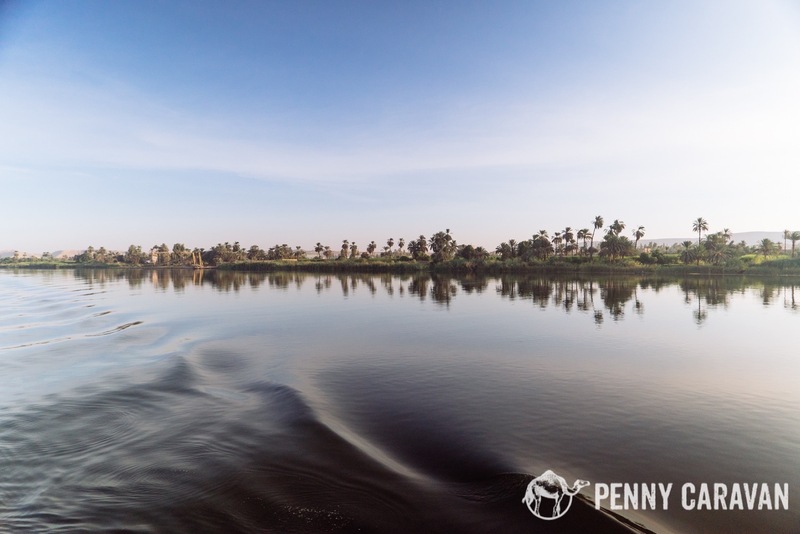 Are you ready to start planning your own Nile Cruise adventure? What part sounds most enticing to you? Let us know in the comments! Thanks for your words about Memphis Tours! We like that you shared your experience so many will find it so useful before travelling to Egypt! Thanks for your comment! We enjoyed touring with you and look forward to another adventure with Memphis Tours! You Can’t find any tour operator in Egypt better than Memphis Tours , where tourism is hospitality before being bussiness . Looking forward to your next post on what you did at each of the stops. More pictures would be great. What does your balcony look like. Was there air conditioning in the room? Hi Joan, we’ve added links at the bottom of this post where we talk about each of the stops along the cruise route. There was glorious air conditioning in the rooms, and the balconies were very small—not big enough for a chair but just enough to stand on! Thanks for reading and let us know if you have any other questions, we’re happy to help! Wow, fantastic location and cruise look excellent.